Ok, I have been writting names down on a list as people add them to the giveaway posts. And yes, I lost the list. So I have just re-written it and given all the entries a number; double checked it because of course I didn't look at the posts in order, oh no. That would have been to simple! And the winner is LINDA! I tried to get a photo of the random number generator up here to prove it but I couldn't and it was making me grumpy so I gave up. Congrats to Linda and a great new design!! Congrats to Linda and what a beautiful new design! Beautiful design :) congrats Linda!!! Congrats to Linda! 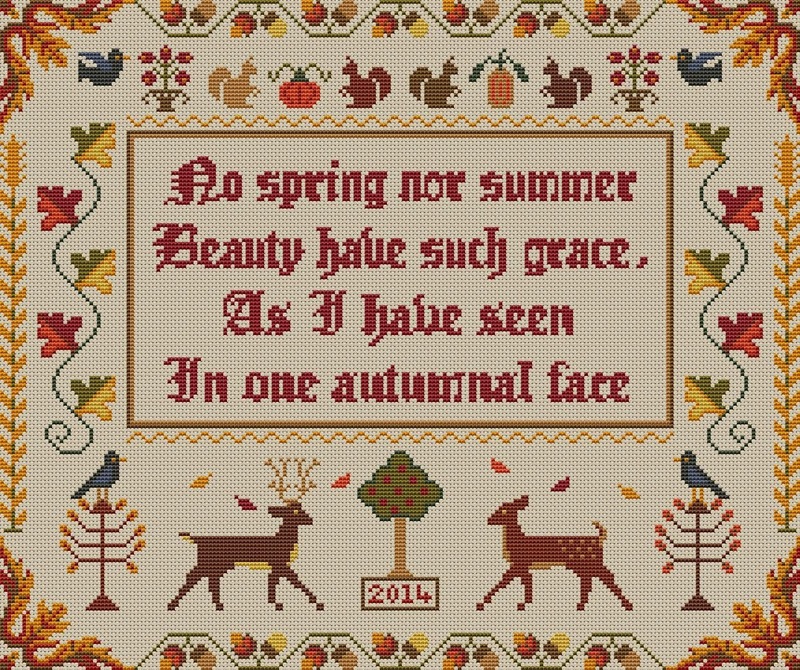 Love the new Autumn themed design sampler.